Ncell is the first mobile network operator in Nepal to operate Public GSM service. After its arrival, it broke the monopoly of the Nepal Telecom, which was only one public communication company. The telecommunication company Mero Mobile brand was re-branded to Ncell on 12 March 2010. From 12 April 2016, it was officially part of Axiata Group Berhad, a Malaysian telecommunications group. From the starting days of the Ncell, it has been public oriented with its special and unique offers for the customers. The Internet in Ncell, SMS 2 Email, Bonus Packs, Missed Call, NCell Saapati, PRBT are some of the new and unique features and that Nell has started first time in Nepal. Now Ncell, the leading telecommunication company, has more than 14 million mobile subscribers in Nepal. One of the unique services is the Internet. It provides different and interesting offers and services on its network for the valuable customers. Currently, the Ncell is providing Zero Twitter and Free Wikipedia from 27 May 2014, which is most popular service by Ncell. Beside this Ncell has provided Packages plans and data services to use the internet in Ncell for the customer in low price. Taking the Ncell on your smartphone you can stay connected to internet services anywhere. Connecting the internet You can surf the net, check emails, use your phone as a modem to connect wireless internet to your PC, MMS, chat with your friends and download different applications. For the new users, the Ncell automatically activate internet service. If you face some problems you can set it manually too. You can follow the below procedure for that. 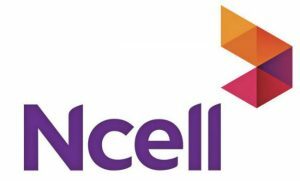 How to activate mobile internet in Ncell ? Type A in the message box and send the SMS to 900224. Dial 900 on your phone and follow the instructions. Dial *100# in your phone and follow the instructions. Once the Internet is activated, type ALL in the message box and send it to 9595. You will automatically receive the settings for your phone. Save the settings and enjoy the internet over Ncell. To set manually the mobile internet in your mobile you can follow the following steps. Go to Settings menu of your mobile. Move to internet/mobile data/cellular/web settings. Move to Access Point Name (APN). The setting is over Turn on Data connection. Recently, the company announced for launching 4G technology in the near future. Hope we will get the 4G technology connecting to Ncell soon in Nepal. Check also: How to activate 4G in NTC Prepaid/Postpaid mobile? Mount Everest Climbing – What You Need to Know? Can Nepal have Dual Citizenship? What is the nationality of Nepal?